This two day class will provide you with solid foundation in handgun skill, and a more fully developed “fighting/survival mindset”. If you are looking for clear direction from a Master Instructor, then American Firearms Academy is the training place for you. 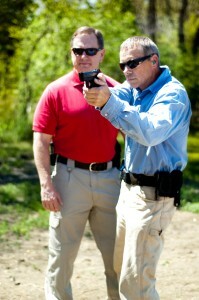 Tom Russell has been recognized as one of the leading authorities in the handgun training arena. He shows respect and patience for all his students as they learn the skills of handgun safety, proper gun-handling, and personal defense. Please call us at 214-912-7455 or complete our contact form with questions.